Your employees will learn how URLs are constructed, URL warning signs, and how to identify and avoid malicious links. 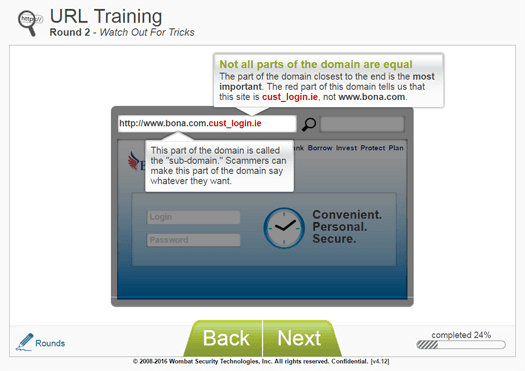 The training covers manipulated domains, shortened URLs, and other common tricks. We offer two styles of education on this subject, an interactive training module and a character-driven training game. Both options ask users to determine malicious links from legitimate links.